New Requirements Of Product Development | Fulcrum ConsultingWorks Inc.
Rebecca explains why adding defensive thinking to your product design and testing processes is becoming a requirement. 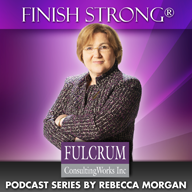 This entry was posted in Podcast Series: Finish Strong® and tagged product development by Becky. Bookmark the permalink.